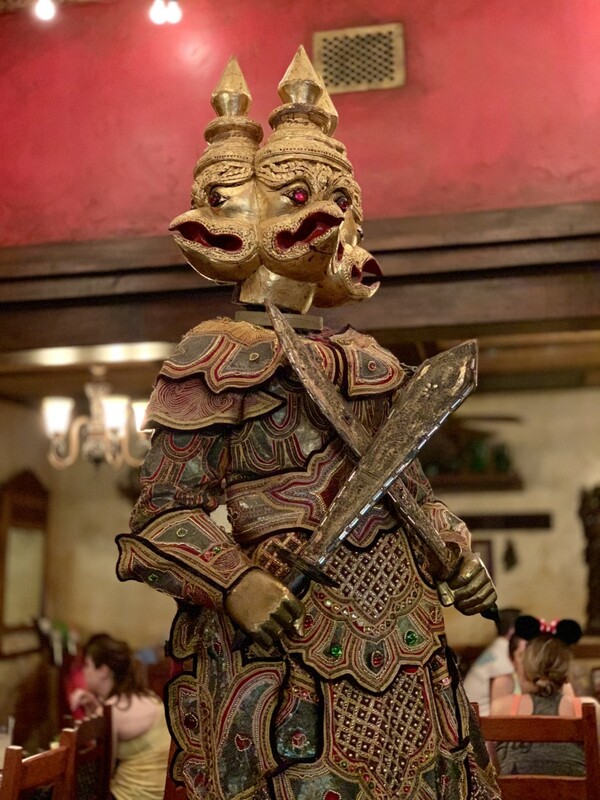 If you are looking for a great dining location while venturing through Animal Kingdom, then look no further than Yak & Yeti Restaurant. This restaurant is full of flavor and culture. 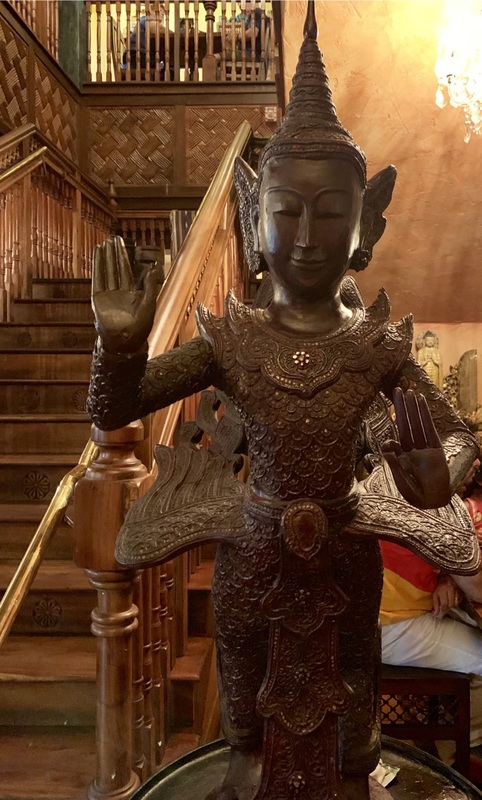 The restaurant is two stories and filled with ancient artifacts and statues. 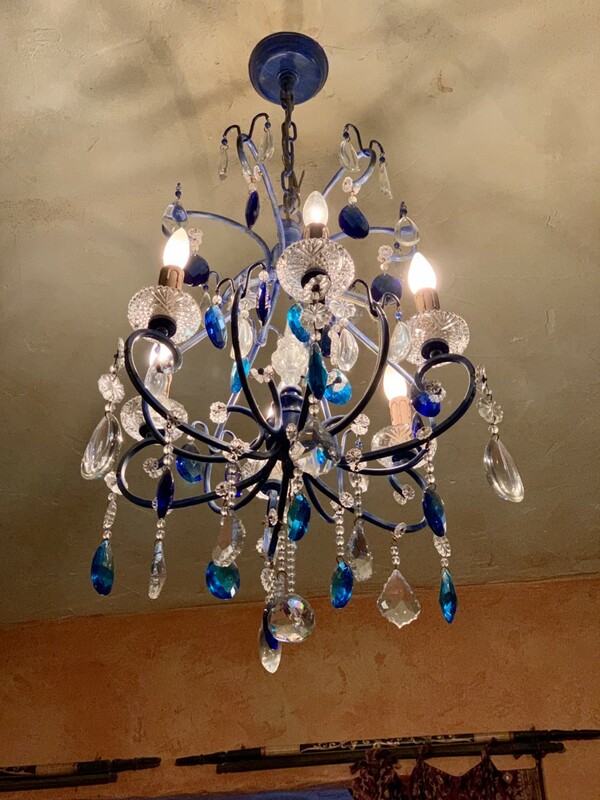 There is also beautiful and vibrant light fixtures throughout the restaurant. Now lets get to the food, that’s the real masterpiece of this restaurant. First up we had the Asian Street Tacos. The tacos are filled with Kalbi marinated beef, Korean BBQ sauce, cotija cheese, and a cucumber kimchi slaw. This was so flavorful and filling on it’s own and then they added fries to the mix with some extra Korean BBQ sauce for dipping. After a long park day, this is sure to fill you up and leave you satisfied. Next up is the Honey Chicken. 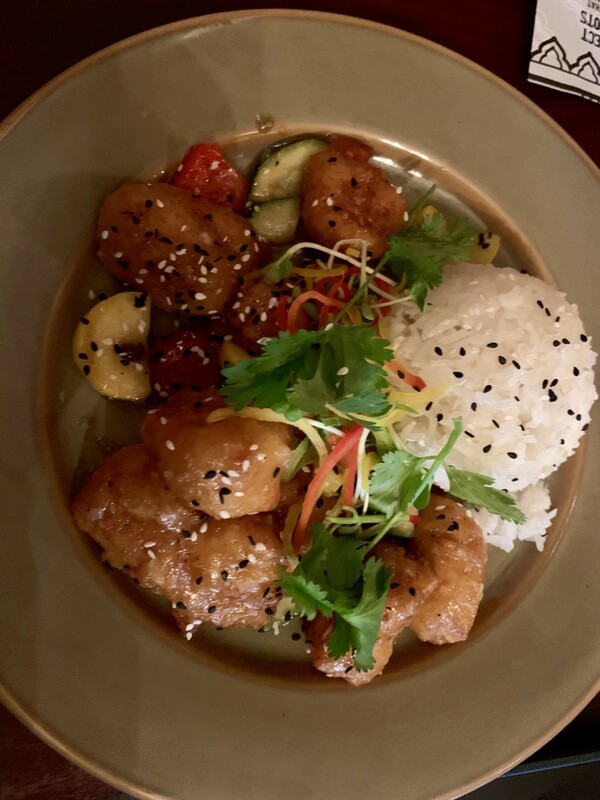 This is also very good, with tempura chicken, fresh vegetables, and tossed in a honey sauce with your choice of jasmine or brown rice. The chicken is perfectly cooked and flavorful. This is perfect for the less adventurous eaters in your party. It was very good. Last up is my personal favorite, the Ahi Tuna Nachos. Now this is on the menu as a shareable option, but I ordered this as my dinner. 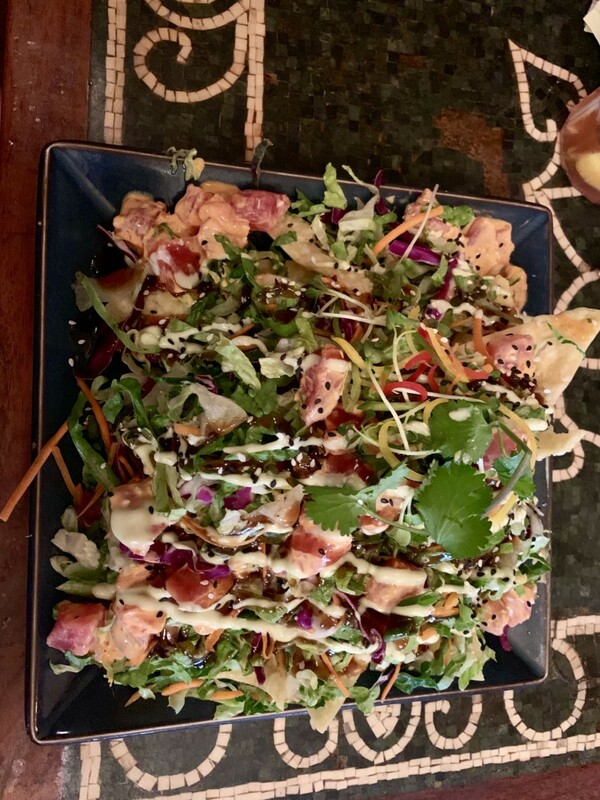 This is sushi grade Ahi tuna, Asian slaw, crispy fried wontons, wasabi aioli, and a sweet soy glaze. This is by far my favorite thing at the restaurant. The flavor combination is so good. The portion is huge and no I did not eat the whole thing. I did end up sharing with the family. I love the fried wontons as the chips. They are so light and crispy and add the perfect crunch to this meal. 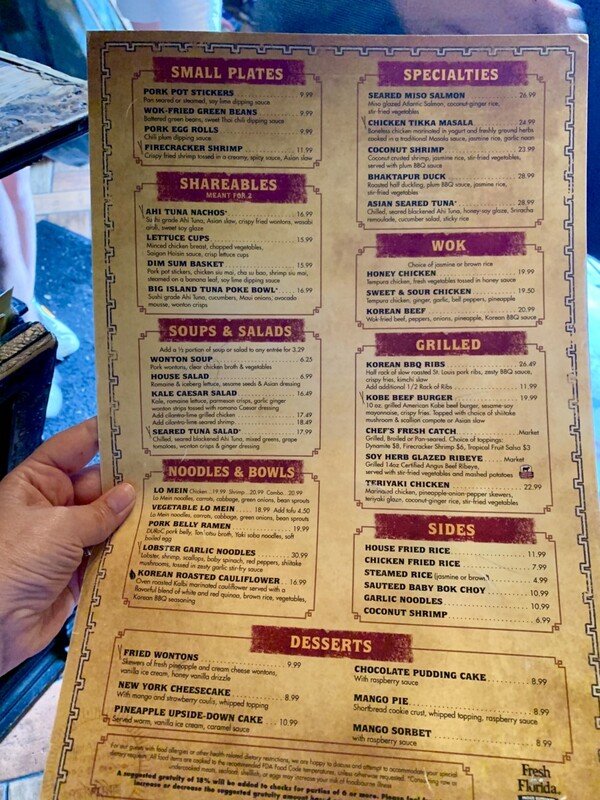 The food here is very good and it’s the perfect option while visiting Animal Kingdom. If you aren’t able to get a reservation, they also have a quick service outside which is also very good. On this day we were able to walk in without a reservation, but it’s always best to try to get one. I hope you enjoy the food as much as I did.